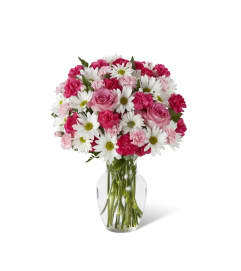 The FTD® Pink Rose & Godiva Bouquet is simply the sweetest way to send your love and affection. 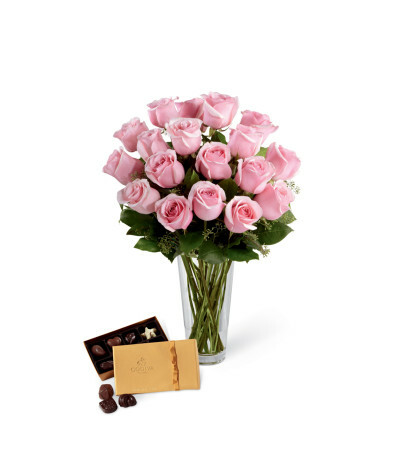 A bouquet of pale pink roses accented with seeded eucalyptus and lush greens arrives arranged in a clear glass vase and accompanied by an 8-piece gold box of Godiva Chocolates. 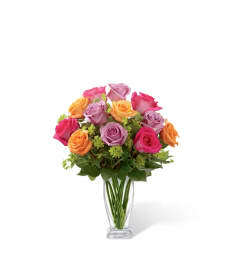 This pairing of beauty and indulgence creates a wonderful and memorable gift that won't go unnoticed.